› Preserved Roses: Is that something you might be interested in ? 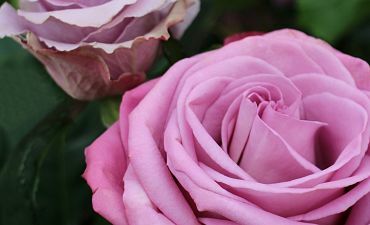 Welcome to the website of Van der Deijl Roses, leading importers of high-quality roses since 1972. Our head office in Noordwijk (Netherlands) forms the hub of our processing and selling operations for our own production companies in Ecuador and Ethiopia. 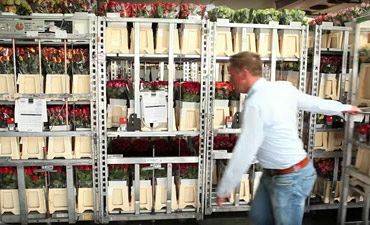 Van der Deijl Roses are experts in chain management and in fulfilling the needs and wishes of its customers. We have years of experience in production, logistics and marketing, and guarantee a personal and extremely professional service. We work with an automated warehouse management system (WMS). All rose containers are transported through he air-conditioned building with the aid of 3 ‘E-car’-driven mini-load cranes. The cooling buffer of 6,000 containers is directly linked to the sales system. All business processes are designed to ensure maximum efficiency, flexibility and capacity for the benefit of the customer. Van der Deijl Roses has been accessible 24 hours a day via internet for many years. A ‘real-time’ web shop makes it possible to view and order the current range of roses from virtually every location in the world. Would you like to stay up-to-date?